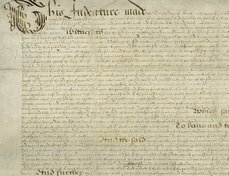 Hamnet, William and Anne Shakespeare’s only son, was buried on August 11, 1596, according to the Holy Trinity Church parish register. Next to the entry, an “X” added by a later hand highlights its significance. He was eleven years old. His cause of death is unknown and there is no indication of an increase in the burial rate during this period. Unless Shakespeare was in Stratford at the time, it is by no means certain that he would have attended the funeral. It was unusual, especially in the summer, for a funeral to be delayed beyond two or three days so it can be assumed that Hamnet died around August 9. 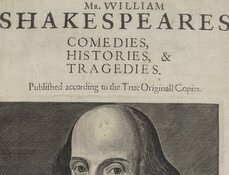 Given that it would have taken at least two days for news to have reached Shakespeare in London, he could hardly have returned to Stratford within four days after Hamnet’s death. Moreover, his company, the Lord Chamberlain’s Men, may well have been on tour in Kent that summer. 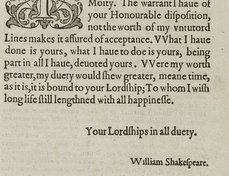 On the other hand, Shakespeare could have been sent for if his son had fallen dangerously ill some days before his death. 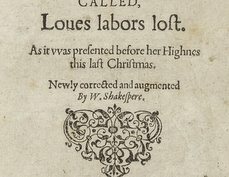 Shakespeare’s wife Anne was then about forty and therefore not beyond child-bearing age, but the Shakespeares had no more children.